Enjoy the best of the Olympic legacy with Queen Elizabeth Park and Stratford station on your doorstep. This fantastic three bedroom garden villa will be spread over two floors and enjoy over 1,300 sq. Ft. Of premium interiors and two private terraces. This brand new development comprising 1,2 and 3 bedroom apartments, garden and sky villas will be part of the major post-Olympic regeneration masterplan for London Borough of Newham. 100 new homes will be available for private sale at New Stratford Works, all designed to maximise space with open plan layouts, large windows and outside space in the form of terraces and balconies, fully-integrated kitchens and hotel style bathrooms. It's not just the homes themselves that make New Stratford Works a desirable place to live, but the major works to the landscaping at the development. A brand new park will be created at its heart with all manner of trees and foliage, so whilst you may be centrally located and connected you can have your own little escape to the country right on your doorstep. Of course if you want to venture further afield, the Olympic park and everything it has to offer is just a short walk away. All of this is extremely well connected less than 10 minutes' walk from the central hub of Stratford station. From there the rest of the capital is just a short trip away; you can be in Oxford Circus in just 20 minutes. 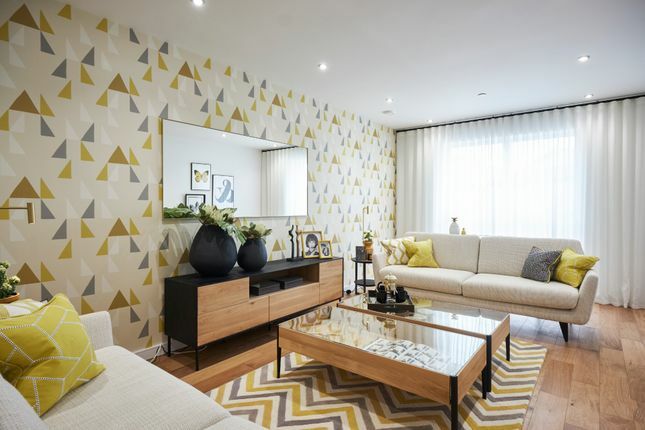 Property descriptions and related information displayed on this page, with the exclusion of Running Costs data, are marketing materials provided by Higgins Homes - New Stratford Works, and do not constitute property particulars. Please contact Higgins Homes - New Stratford Works for full details and further information. The Running Costs data displayed on this page are provided by PrimeLocation to give an indication of potential running costs based on various data sources. PrimeLocation does not warrant or accept any responsibility for the accuracy or completeness of the property descriptions, related information or Running Costs data provided here.